Each individual has specific insurance needs which may differ with the insurance needs of another person. This means that there is no one-size-fits-all insurance. The best form of insurance to meet your needs would be one that can be customized with your requirements and expectations in mind. This is exactly what RSA offers in its leisure lifestyle insurance. Leisure lifestyle insurance allows you to combine the lifestyle coverage with the condo or home insurance plan you want. This helps you to get a customized solution for your needs. Of course, this can be a combo package which means that you can add several coverage options in one suite to get a better coverage that serves a wider range of purposes and insurance needs. 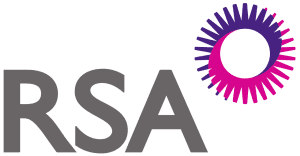 RSA offers a plethora of coverage in the leisure lifestyle plan. Some of these include the personal catastropheshield, landlordshield, business in the home, holiday travel trailers, watercraft, and seasonal dwellings coverage. These features help to make your coverage a lot more attractive and topnotch. RSA leisure lifestyle coverage allows you to combine the leisure lifestyle coverage with the condo or home insurance product of your choice to get a perfect protection for you and your family. The plan also offers personal catastropheshield coverage, a personal umbrella policy which offers enhanced personal liability protection in various amounts. It also offers business in the home coverage which includes legal liability, and so forth. Landlordshield coverage is also offered here. This is an all-risk policy form that provides built-in coverage for fair rental value and loss of use. It also includes added protection for clients who own motor-powered watercraft. The plan can also be customized to protect clients who own dwellings that are occupied seasonally. Clients with trailers that are factory-built, CSA-approved and that are used personally can be protected by this plan. The trailer has to meet the age and size requirements. Ask your Broker about Leisure Lifestyle Insurance Quotes and Compare!